In China, hot pot restaurants have been serving a novelty item in recent years that seems to have become a trend. 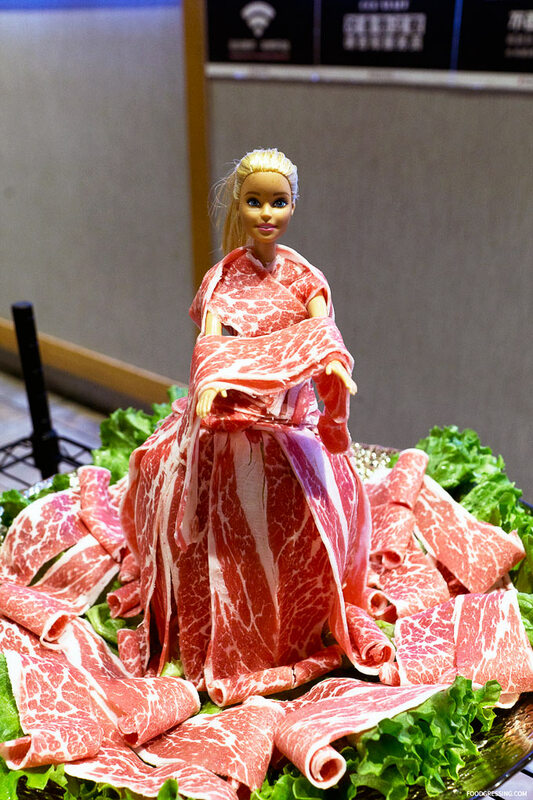 Meet “Meat Barbie” which comes dressed in a red-and-white-marbled “gown.” Meat Barbie is actually wrapped up in strips of meat and diners need to “strip” off the layers to cook the meat in the hot pot. The item has been controversial in the past as people’s reaction have been mixed. 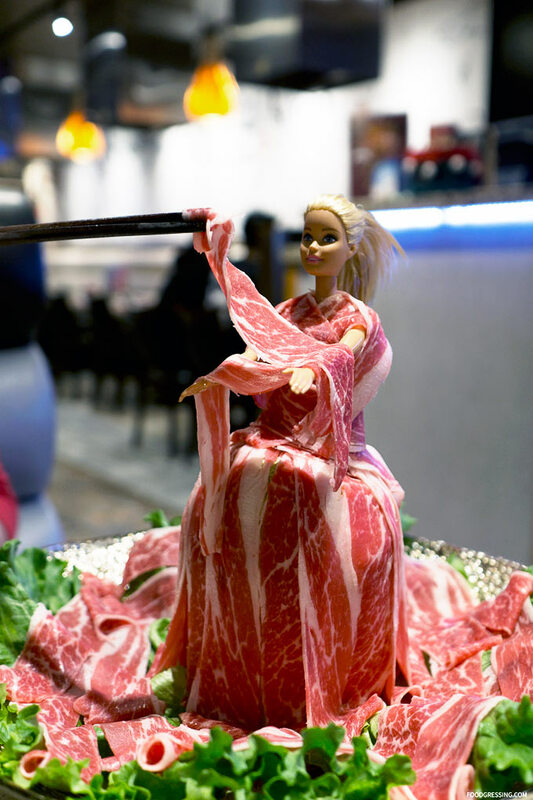 Some might find Meat Barbie adds some fun to the hot pot experience while others have questioned the hygiene aspect or have noted it to be sexist or gimmicky. If the concept of a meat dress sounds familiar, it’s because Lady Gaga once wore a dress made of raw beef to the 2010 MTV Video Music Awards. The dress drew criticism from animal rights groups but was also named by Time as a top fashion statement for 2010. 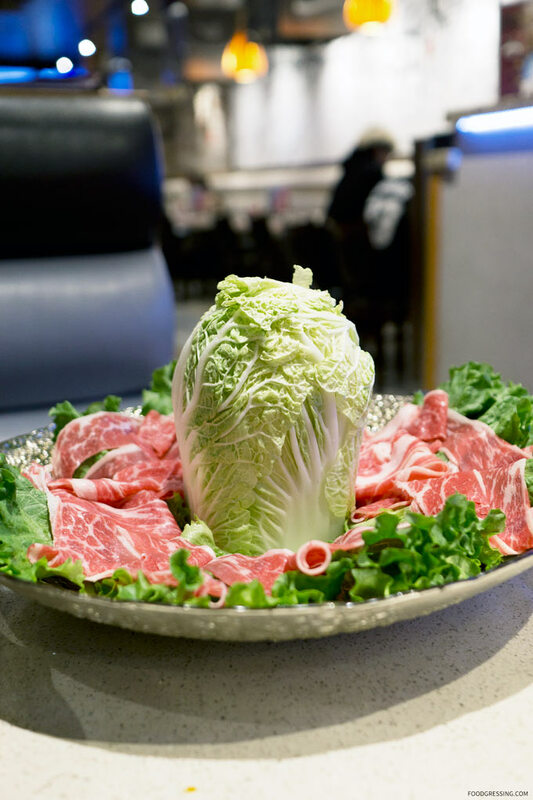 I experienced the Meat Barbie at Liuyishou Hot Pot in Vancouver. Liuyishou is a hot pot restaurant chain which specializes in Chongqing style (spicy) hot pot and has over 1,000 locations worldwide. At Liuyishou, the Barbie comes standalone with beef for $25 or as a seafood and meat combo for $50. As for my personal take on Meat Barbie, I was certainly intrigued by it. 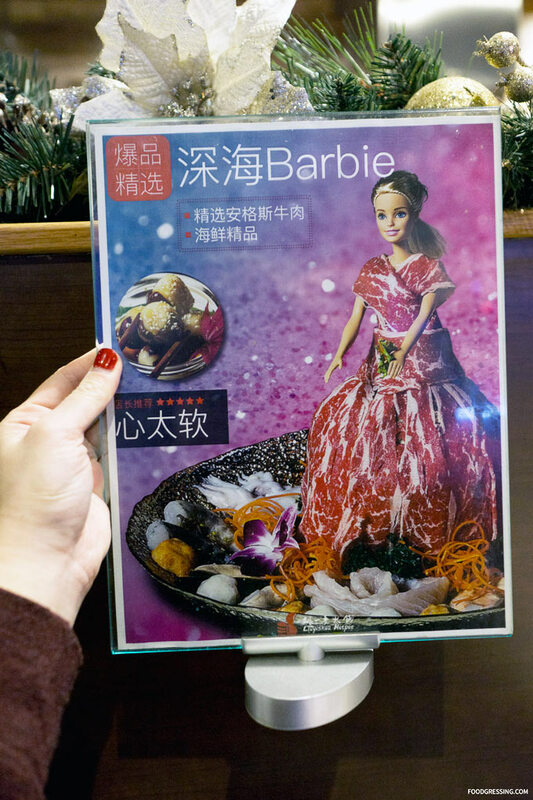 I’m interested in weird foods and the novelty aspect of Meat Barbie appealed to me. And what’s really underneath it all? Well, it’s not as bad as you think. 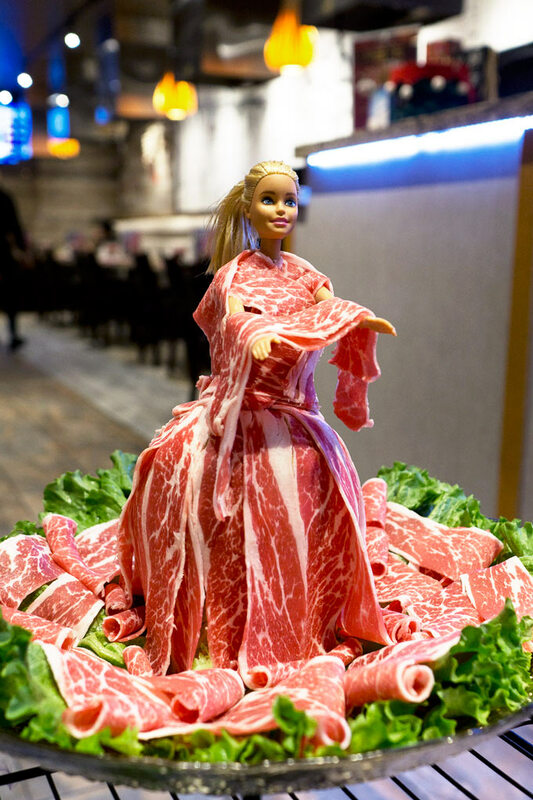 Barbie is dressed tastefully in a one-piece pink swimsuit with a floral print underneath all that meat and the bottom “lining” of her gown is made with lettuce. Watch my video below to see it all unravel. What are your thoughts on Meat Barbie? Would you try it?